Just down the road from Suisgill on your left-hand side as you drive into Helmsdale, this challenging 9-hole inland course has tight fairways surrounded by bracken, gorse and broom. It overlooks the River Helmsdale and the Strath of Kildonan, with panoramic views from its most prominent point at the ninth tee. A warm welcome awaits you at the course’s small clubhouse. Golf Road, Helmsdale KW8 6JA – Website – For all enquiries call the Secretary, Ronald Sutherland, on 01431 821372 (shop) or 01431 821063 (home). 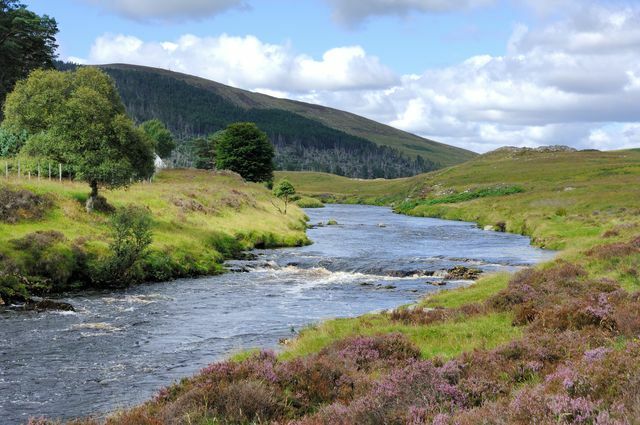 Around 20 miles from Suisgill, the Brora Golf Club was established in 1891 but in 1923 the course was redesigned by James Braid, 5-times British Open winner and the man behind the legendary Gleneagles golf course. With its 18-hole, classic layout and panoramic views of the sea and sand dunes, Brora is an excellent links course. Roughly 25 miles from Suisgill, Golspie Golf Club is set at the foot of Ben Bhraggie with fantastic views over the Dornoch Firth. Founded in 1889 and designed by the legendary James Braid, this course offers a challenging blend of seaside links, heath and parkland golf to satisfy golfers of all abilities. Just under 35 miles from Suisgill, the spectacular 18-hole Championship Golf Course is considered to be one of the top five courses in Scotland and is ranked 16th in the Top 100 Golf Courses of the World. Designed by Old Tom Morris, this natural links course is the jewel in the Highland golfing crown and its lush greenery, bright yellow gorse and pure white sands make it an idyllic setting.